Patrick's job is to assist the audience in Believing in the Impossible. Amazing, engaging and thoroughly enjoyable are the tenets to Patrick's services. Get to know him today! Valley of the Sun native, he can be seen performing across the Metro Scottsdale - Phoenix area. Magician Patrick Holcombe, will perform close up magic at your private party or corporate event that continually brings gasps of astonishment from the audience. 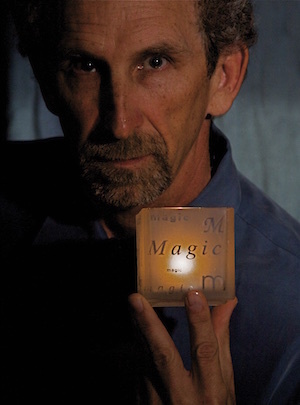 Working with a variety of objects from his and YOUR pockets, Patrick will perform magic close up that engages, and empowers your guests to perform, feats that they never thought were possible. All while they are laughing and thoroughly enjoying the entire experience. 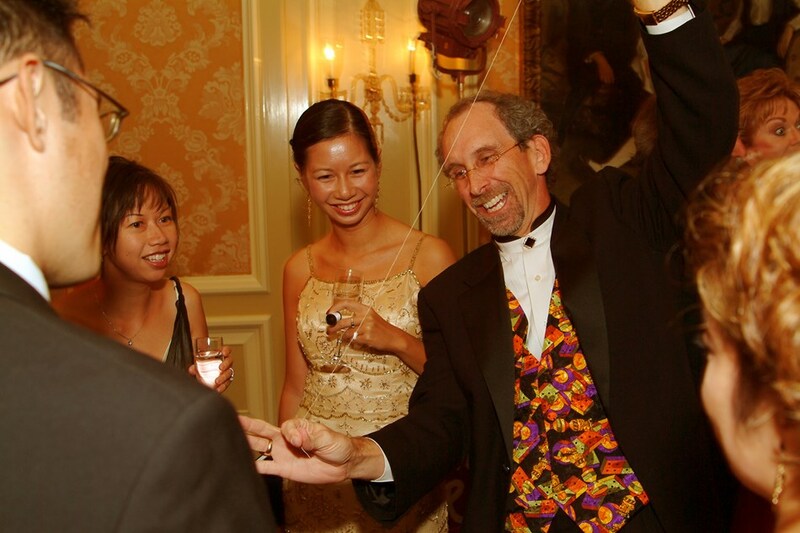 Patrick uses magic and mentalism to mystify and entertain your guests. Can you imagine just thinking of some initials and find YOU have read someones mind? How different that you accomplish the feat! Wow, thank you so much. Helping people celebrate the best times in their lives is one of the reasons I love doing what I do. Helping to elevate a gathering of treasured family and friends is a gift I enjoy giving. Happiest of Holidays. Patrick was awesome! He was on time, professional and very talented! Our guests LOVED the experience, and I would highly recommend him for any type of event! So great to entertain fun loving and upbeat guests. Wonderful party and so thankful to be included in the mix. I really hope we meet again. Patrick is very professional. First and foremost his magic was the hit of the night. Everyone was amazed as his performance, he is very friendly and engaging. You will not be disappointed. Patrick is also a professional. His customer service is a A+++. Will have him again! I am so pleased to have been part of Greg’s event. Wonderful guests who were so receptive. Thanks so much for having me in to entertain your valued friends. You really put on a terrific golf outing. Let’s do it again. Patrick is a talented magician that we are happy to recommend for your upcoming event. We were very satisfied with his performance at our private party. It is so gratifying to be able to entertain families and leave lasting memories of a fun amazing night. Thanks to Nick and Michele and congrats to expecting Sydney. Patrick was so accommodating and flexible to fit our event theme! He definitely added a "magic touch" to our event and entertained over 400 participants in our scavenger event supporting the Ronald McDonald House in Phoenix! His communication was excellent, on time and very professional! Thanks so much for the kind words. My clients are very important to me, and helping them get what they need is satisfying. Look forward to Making Magic Happen again. Thanks Amy and Bobit for your continued business. Great working relationship. Looking forward to the upcoming event in May. Patrick was a pleasure to work from the moment of hire to the actual event. Our attendees were amazed and I have never received more compliments on the entertainment at one of our events than I did with Patrick. I highly recommend him. He is personable, has a great sense of humor and is very engaging. Working for first class companies is a privilege and an honor. I hope to assist this terrific company again. Thank you for the wonderful recommendation. Our attendees really enjoyed Patrick. He was engaging, friendly and very talented. Thank you Patrick! It was such a delightful addition having Patrick Holcombe perform his magic at my daughter's engagement party. He surely delivered what he professed to do which was to wow the crowd and boy did he! What an amazing magician/entertainer! Over and over we kept hearing our guests exclaim, "How in the world did he do THAT?!" I highly recommend Patrick and his magic to make any party unique and entertaining! What a touching pleasure to entertain at someone's engagement party. This will be the first of big parties together and I was so glad to help make it a huge success. Best of life's to the couple and many thanks to Dorry for bringing me along. 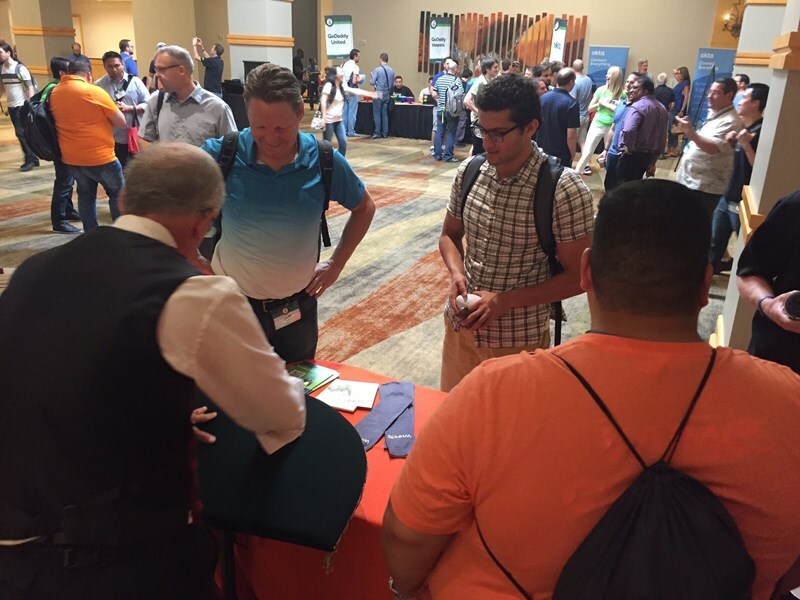 cPanel would like to thank Patrick for his professionalism and personal attention to the audience, that were constantly amazed by his performance during our conference. He quickly identified and adapted his performance to match the target audience, thus making our booth at the conference one of the best booths that everyone wanted to stop by and visit to view his performances. He not only amazed the audiences, he also amazed our team. It was truly a pleasure working with him. A++, would bring him along to every event, if I could. Please note Patrick Holcombe - Magic and Mentalism will also travel to Glendale, Tempe, Peoria, Chandler, Sun City, Laveen, Mesa, Scottsdale, Cashion, Paradise Valley, Gilbert, Sun Lakes, Tolleson, Avondale, Higley, Goodyear, Litchfield Park, Youngtown, El Mirage, Fountain Hill, Sun City West, Queen Creek, Sacaton, Surprise, Maricopa, Fort Mcdowell, Apache Junction, Waddell, Carefree, Wickenburg.